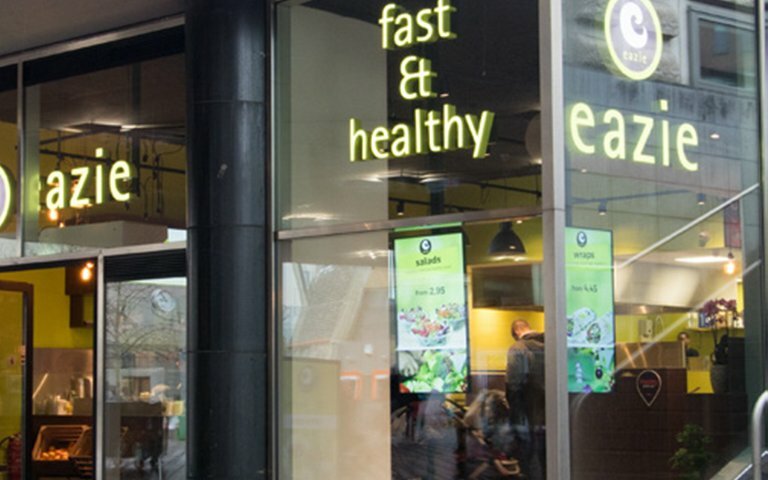 Eazie has 22 fast service restaurants in the Netherlands, located in high-traffic urban areas like shopping malls and near stadiums. The focus of the chain’s growing wok and salad concept is on fresh, appealingly presented ingredients that stimulate your feeling of wellness. Healthy, low calorie food. And the choice is yours. Just choose what you want from the many options available. Then let Eazie prepare it for you, while enjoying Eazie’s bright, welcoming premises. 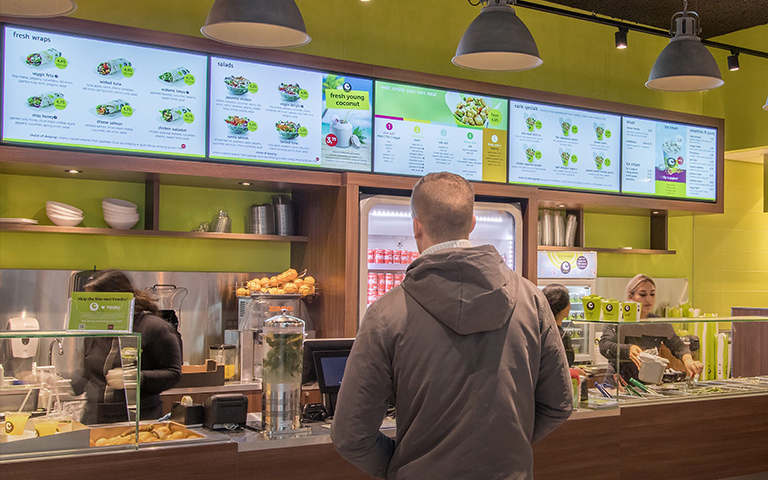 Orders are placed at a counter, and you collect your food when it’s ready. Fast, fresh – and successful. 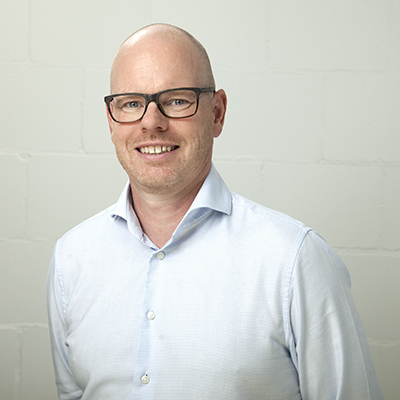 Eazie was looking to increase its appeal among its customers, upsell existing customers and reach new ones. It was further seeking a way to explain how the ordering and preparation process works. And the eventual solution had to be fast to implement, causing as little disruption as possible, and deliver a high return on investment with low operating and maintenance costs. 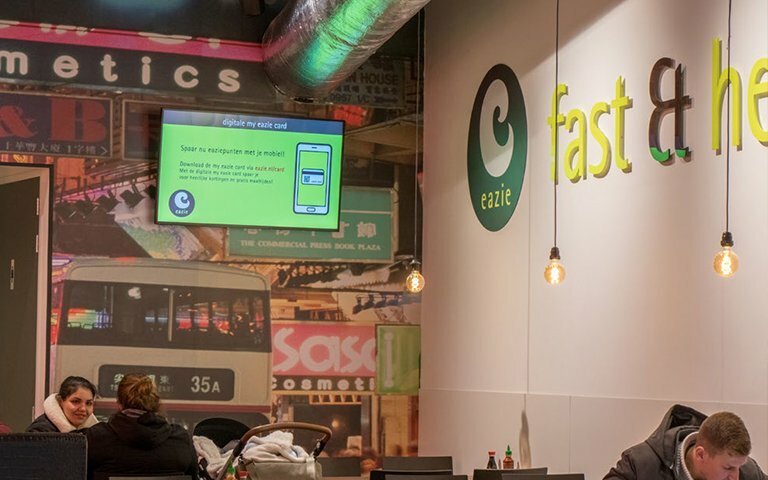 Eazie approached De Digitale, the Dutch specialist in digital menu boards and digital signage. 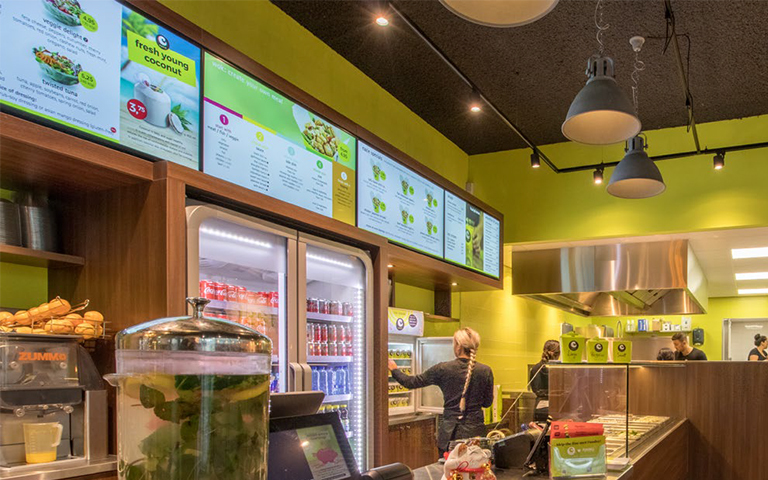 A five-screen signage array at the point of sale, another screen in the dining area and one in the window entice people inside, explain how things work and do justice to the delicious Eazie menu. The eye catching D-Line displays from Philips Professional Display Solutions are used as these support accurate ‘whites’, which is a key element in the Eazie house style. To mount the displays, De Digitale used the Vogel’s Connect-it Series. This versatile mounting system is very easy to install and flexible. It is perfectly suitable for mounting digital menu boards. Thanks to the special Connect-it 3D interface strips it was easy to perfectly align the displays. This project at Eazie has been realized by De Digitale B.V. in collaboration with our Dutch distributor Vogel's Professional Netherlands (VPN). We chose for the Vogel’s Connect-it Series. The 3D interface strips are adjustable in multiple directions, to perfectly align the displays. We selected a well calibrated Philips D-Line screen. This combination was the perfect choice for Eazie.